This is a diorama, with numerous miniature buildings. These buildings are representative of actual buildings, from some point in St. Augustine's history. The larger patch of simulated water, near the top of the photograph, is likely to be the Matanzas River. The smaller simulated linear water feature is either the San Sebastian River, or Maria Sanchez Creek. 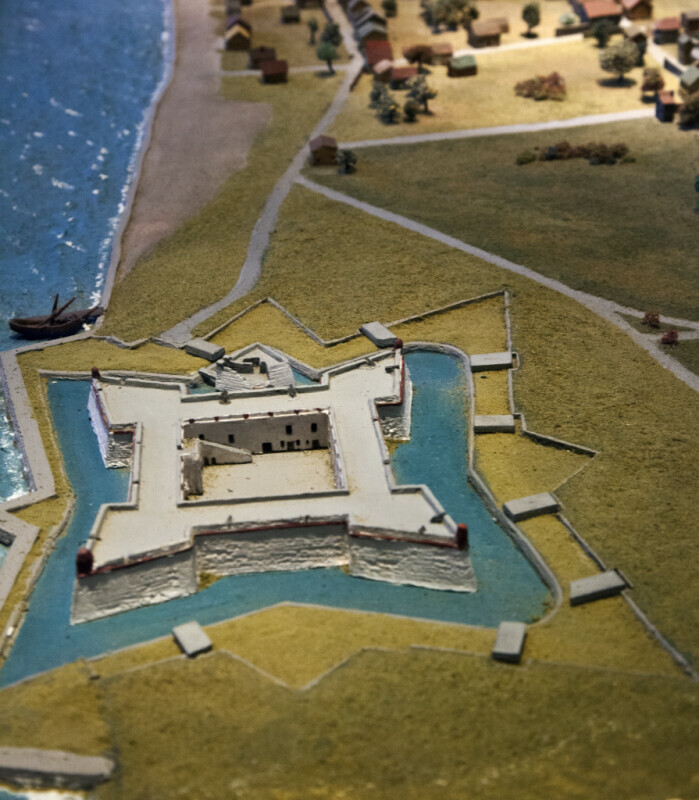 This part of the diorama includes a miniaturized Castillo de San Marcos.